There's a bar called "The Captain's Table," where those who have commanded mighty vessels of every shape and era can meet, relax, and share a friendly drink or two with others of their calling. Sometimes a brawl may break out but it's all in the family, more or less. Just remember, the first round of drinks is always paid for with a story...even beyond the final frontier. 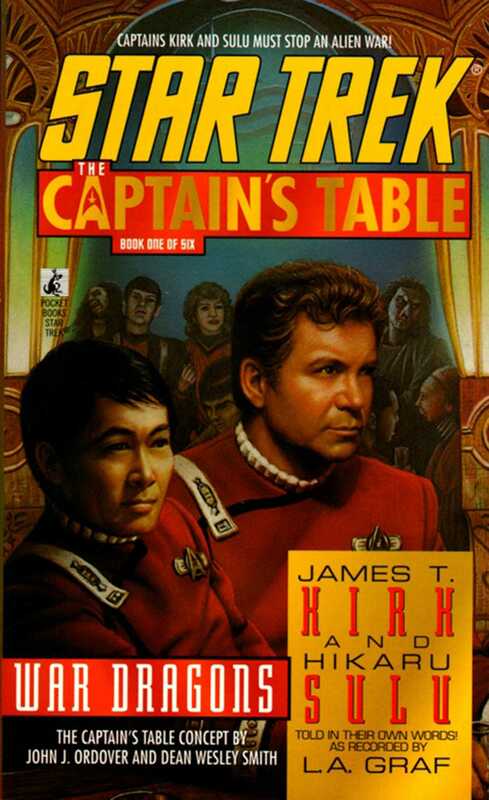 Captain James T. Kirk must join forces with Captain Hikaru Sulu, new commander of the U.S.S. Excelsior,to resolve a simmering political situation in a distant star system. For more than twenty years, the ancient enmity between Nykkus and Anjiri has resisted the best efforts of Federation diplomats. Now Kirk and Sulu have one last chance to end the bloodshed -- before it erupts into a full-scale interstellar war!